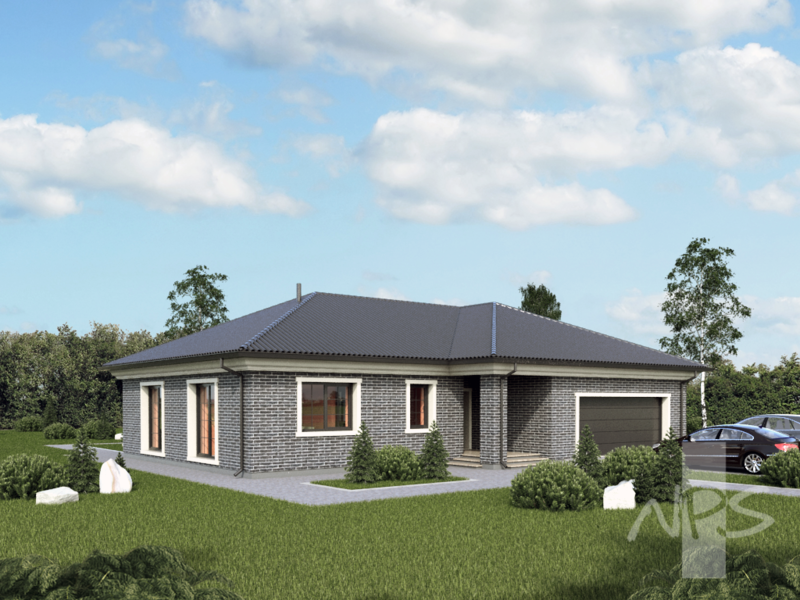 "Meida" single storey house project with two place garage. 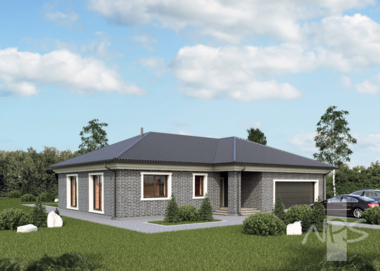 In this house with four slope roof can comfortably live the family of 4-5 persons. 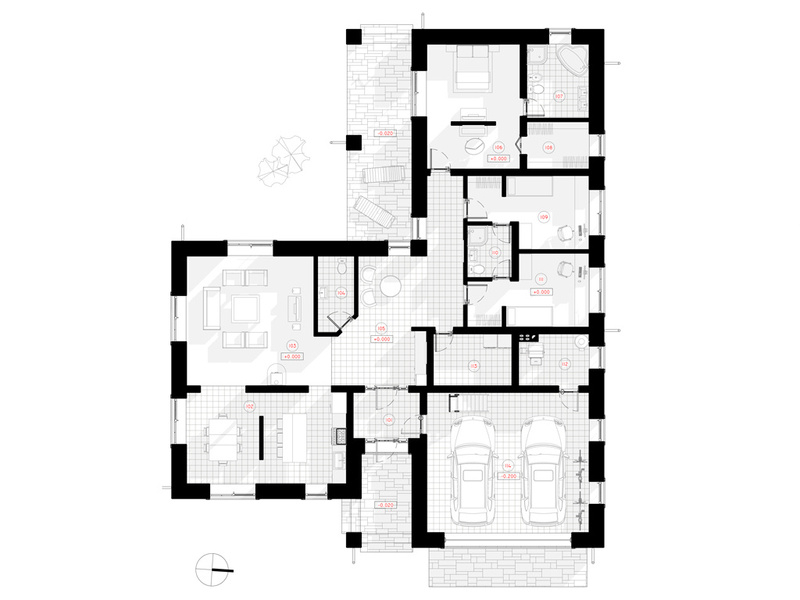 Total area of the premises of the house – 225.44 m2, living area – 109.75 m2. Daily, recreational and utility zones are designed in the building. 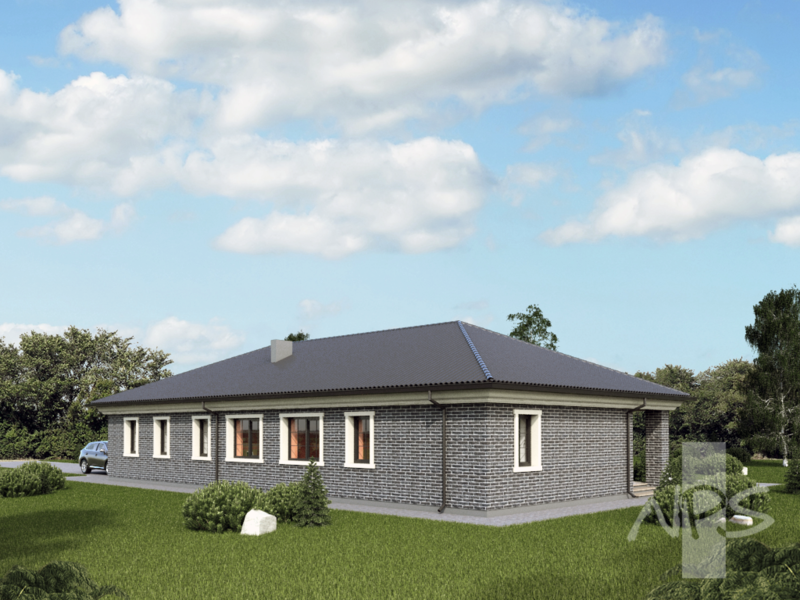 Daily zone – is the homogeneous space of premises, large sitting room, kitchen - dining room and WC, hallway - hall, and recreational zone is comprised of bedrooms, spacious closet and individual WC's for parents and children. 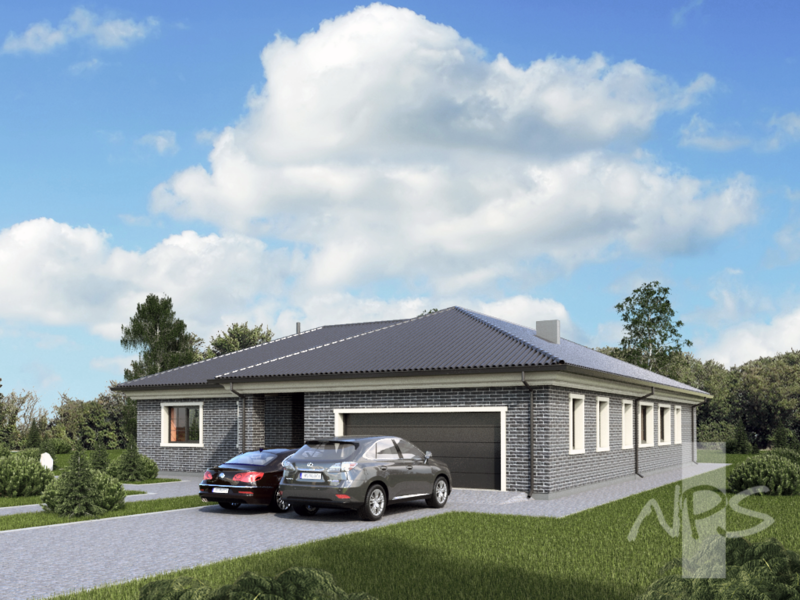 Boiler room, laundry and garage are provided in the utility zone. The boiler room is accessed from the tambour through the garage. There is a separate exit into the terrace that is provided in the patio. Roof, wall and house finishing construction materials are selected for each customer individually during the creation of the technical (technical - job) project. 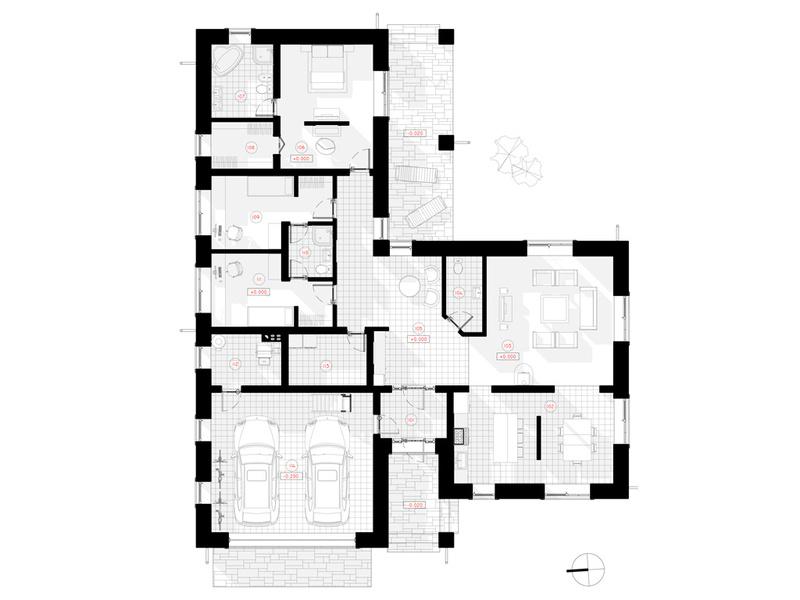 Various alterations are possible in the plan of the house or the facades. 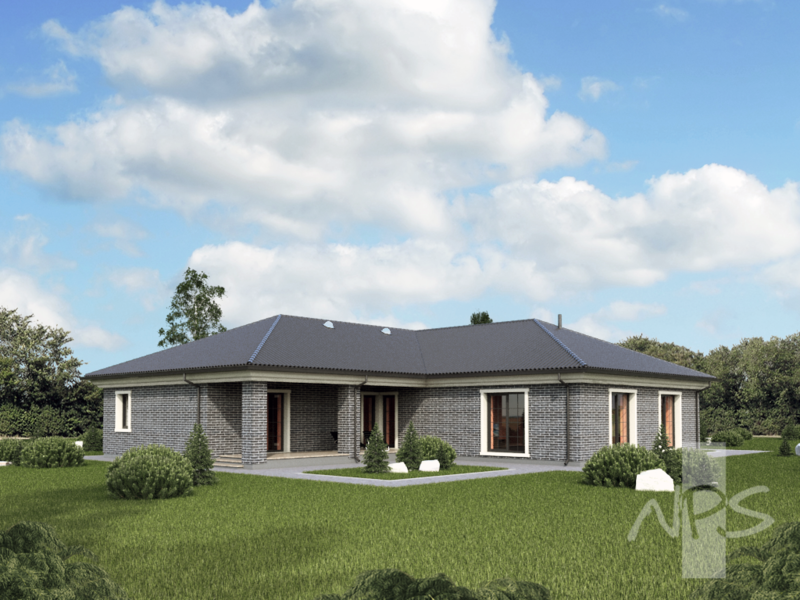 The construction of the residential house is simple and economical, due to the simple structures and solutions that were chosen.